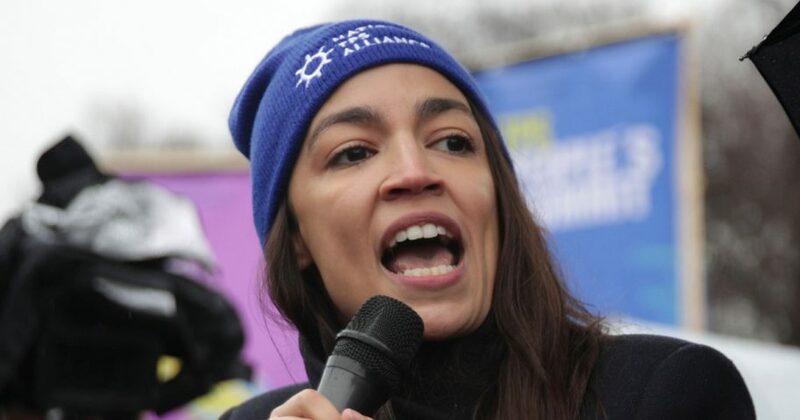 Democratic Rep. Alexandria Ocasio-Cortez, the new “It Girl” in the Democratic Party, and Democratic U.S. Sen. Ed Markey have unveiled their green energy agenda. In their 15-point plan, they call for a, “(A) new national, social, industrial, and economic mobilization on a scale not seen since World War II and the New Deal era” to end our reliance on fossil fuels. Major 2020 Democratic presidential contenders have signed on. And, Republicans are licking their chops. The Green New Deal promises, “to create millions of good, high-wage jobs in the United States; to provide unprecedented levels of prosperity and economic security for all people of the United States; and to counteract systemic injustices.” That’s a pretty bold promise particularly coming from Ocasio-Cortez who has yet to run anything other than the tap at the Flat Fix Tequila Y Taco Bar in New York. The Green Energy Agenda will likely meet the same fate as its 2009 precursor, the Democrats’ doomed, “cap and trade” plan, which didn’t even pass the Democratic-controlled U.S. Senate. Yet the Democrats will spend the next several weeks or months pushing their new plan, which is “cap and trade” on steroids. President Donald Trump thinks that’s just brilliant. He knows this will ensure that blue-collar Democrats, many of whom work or want to work in the fossil fuel and supporting industries, will stay with him as we move toward the 2020 presidential campaign. About 1.9 million Americans work directly in the traditional coal, oil, and gas-electric power generation and fuels sector. And, now with the Green Energy Agenda, Democrats are aiming to eliminate their jobs once again. That will not play in Peoria, nor Pittsburgh. Democrats lost the 2016 presidential race because they ignored the concerns of blue-collar Democrats in America’s Rust Belt — those Midwestern states, including Pennsylvania, that have suffered from a significant decline in their manufacturing sectors over the past several decades. Hillary Clinton neglected states like Michigan and Wisconsin, much to the chagrin of her husband, former president Bill Clinton, who has a better ear for knowing what voters want. Hillary, who famously complained that white women vote the way their husbands tell them, should have listened to her husband. Trump, on the other hand, knew how to win over the Rust Belt. His pledge to put America first on trade and immigration was music to the ears of so many Midwestern Democrats — men and women who had suffered so much under the globalist economic policies of the Republican and Democratic parties. When Trump came to Pittsburgh during the primary season, a city which had come to epitomize the decline of American manufacturing, he blew the lid off the David L. Lawrence Convention Center. In the first line of his speech to the 8,000 in attendance, Trump declared, “We are going to bring back your coal industry your steel industry. We’re bringing it back!” The crowd erupted in thunderous applause. And with those few words, Trump closed the deal not only on the Pennsylvania primary that spring, but on the entire Rust Belt in the general election that fall. Fast forward three years and the Democrats are once again pushing policies that will devastate the economies and the jobs of the men and women in the Rust Belt. Through their Green Energy Agenda, Democrats will bring under one umbrella, in something akin to a modern-day Marshall Plan, a variety of unrelated pet policies from providing all Americans with guaranteed employment, free college and universal health care to “repairing the historical oppression to indigenous peoples.” This will make Elizabeth Warren happy because it promises to take care of her people, but it will make the overwhelming majority of Americans pretty angry. The main thrust of the plan is for the U.S. to meet 100 percent of its power needs through clean, renewable and zero-emission energy sources. According to the Heartland Institute that, “would shut down virtually all coal, oil and natural gas electric plants, eliminating millions of jobs in the process.” There are around 340,000 Pennsylvanians who work in connection with the energy sector. If the Democrats’ Green Energy Agenda is put into play, most of those jobs will be eliminated. Further, about 80 percent of the American people get their energy from fossil fuel sources and will not appreciate Democrats’ efforts to bankrupt those industries. Ocasio-Cortez, a self-described democratic socialist, has stated proudly that her plan will require “massive government intrusion.” And, of course, the plan doesn’t come with a cost estimate. Its authors admit they don’t know the cost but stated that it was so high it was beyond the financial capability of every billionaire and company in America. Thankfully, with a Republican U.S. Senate and Trump in the Oval Office, this plan has no chance of success. Instead, it will cause the Democrats to lose the Rust Belt once again, and thus the next presidential election. So, I say to my Democrat friends who support this plan march on, comrades! March on!